Growing up as a kid I loved dinner at Nan's place because she would always serve up a delicious dessert following dinner. Sometimes, it was her famed golden syrup dumplings (OMG they are amazing) and other times it was a steamed pudding of some sort. Often, Nan made baked apples with sago and this was where I first discovered this interesting ingredient. 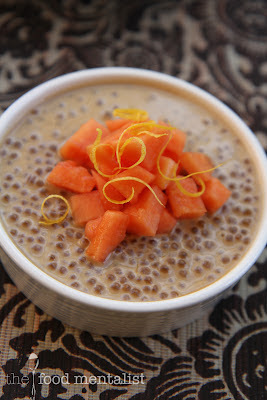 Sago is the common name often given to tapioca seed - which you will find in packets at your local supermarket. Whilst sago and tapioca are both starch extracts, sago is sourced from sago palms the largest supply comes from the East Indies. 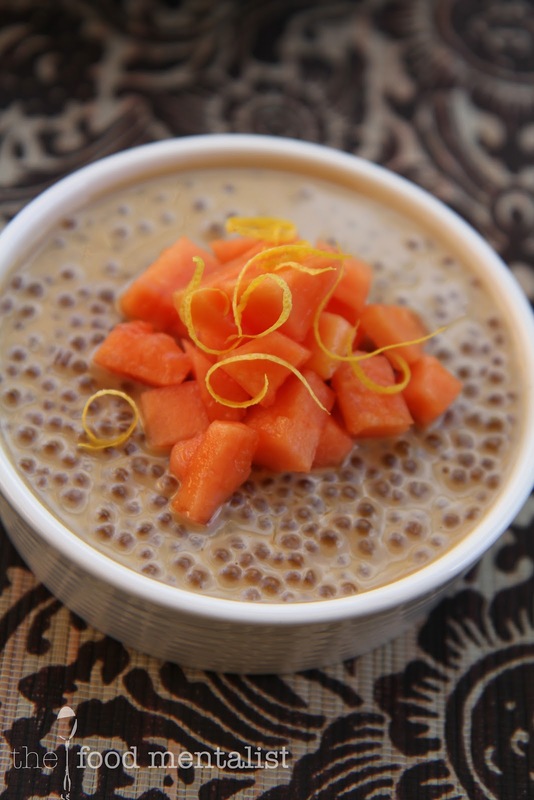 Tapioca however is sourced from the tubers of the cassava plant. 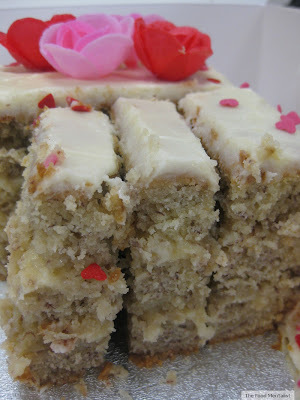 Both are gluten and protein free which make them a great alternative for those who may suffer allergies. They can also be used as a thickening agent in flour form. 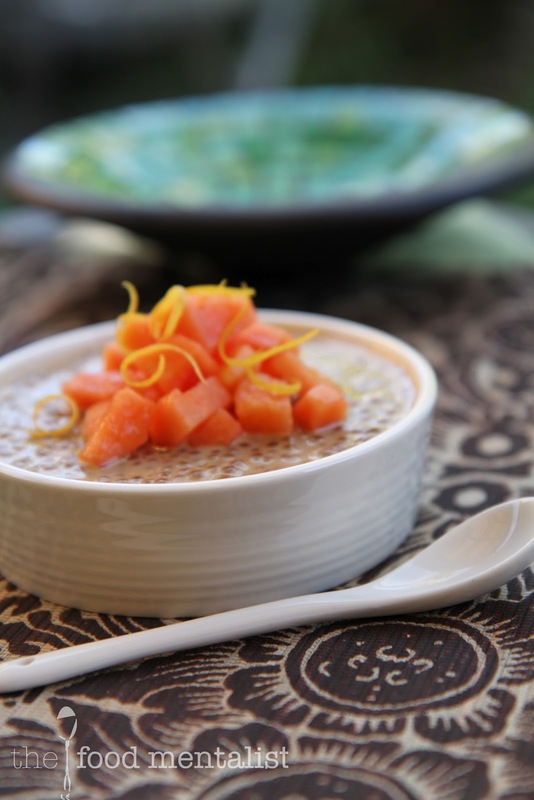 There are two ways to cook sago, one using the absorbtion method, the other, by boiling it in lots of water - similar to rice. The absorbtion method can be extremely tedious and results in a thicker consistency, which sets very firm. I prefer the later method used below. I absolutely love papaya served fresh with a good squeeze of fresh lime juice or big dollop of yoghurt. Not to be confused with Paw Paw, Papaya is rather different. It doesn't have that unusual ( sometimes off putting aroma that the paw paw is renowned for) and it's colour is more of an amber orange colour as opposed to the yellow flesh of the Paw Paw. 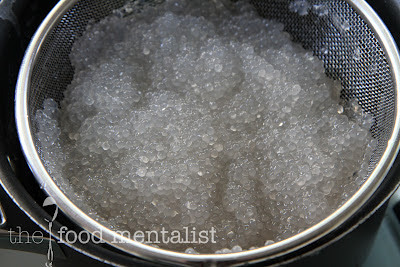 Boil water and sprinkle in sago, stir immediately to separate grains and cook until the pearls are completely translucent. Taste test to make sure they are tender to ensure the grainy bit in the centre is gone. Drain and wash thoroughly with cold water. Set aside. On medium heat, melt sugar in a small pot with about a 1/2 tsp water. Set aside to cool to room temperature. Then add the coconut milk and stir over a low to medium heat until it starts to simmer. Add the sago and mix to combine so that the sago is well coated in the liquid. Scoop the sago into individual serving dishes, cover with plastic wrap and refrigerate to chill & set. To serve, top with small cubes of fresh papaya and lemon or lime zest. Tell me, do you like sago? Sago's the best! 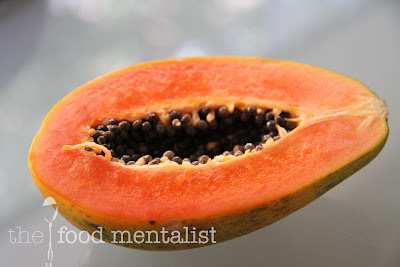 For the longest time I thought paw paw was the same as papaya though, lol. 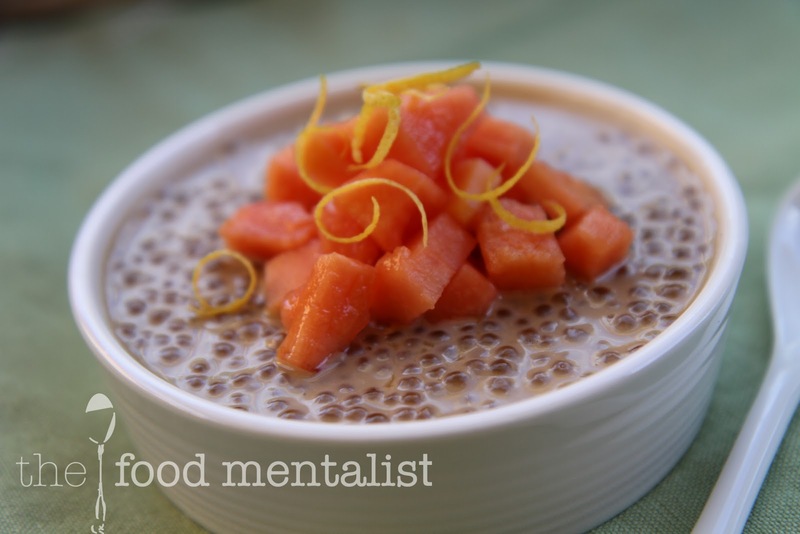 This recipe looks great, really refreshing and healthy, I'll definitely give it a try! Papaya is my FAVORITE Fruit and I will be trying this combo very soon! !